Well done to all who took part in 'Stand Up Awareness Week' from 13th-17th November, 2017 in SPHE class. It is one of the largest anti-bullying weeks in schools. Participating also helps to meet the requirements of the Department of Education’s Anti-Bullying Procedures. 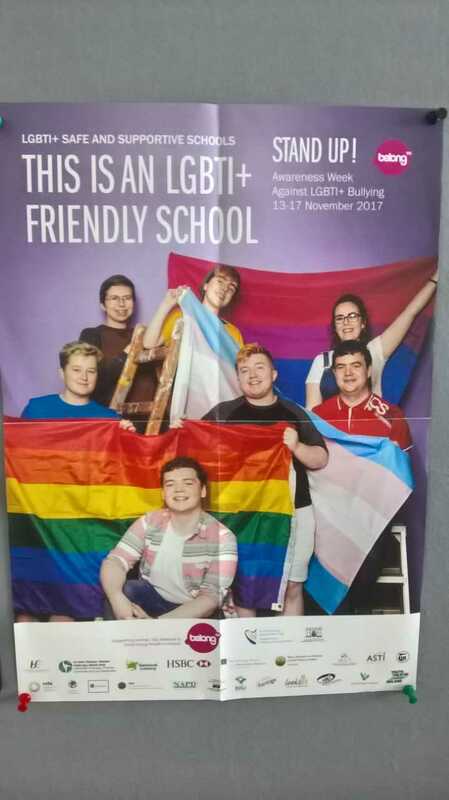 It is a great opportunity to discuss what it means to be LGBTI, the challenges and the devastating impact homophobic bullying can have on students.